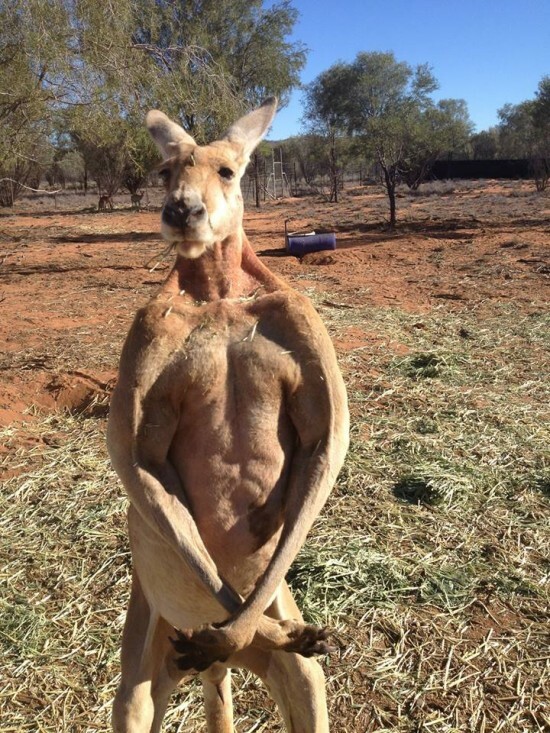 Meet Roger, the alpha male at the Kangaroo Sanctuary in Alice Springs, Australia. 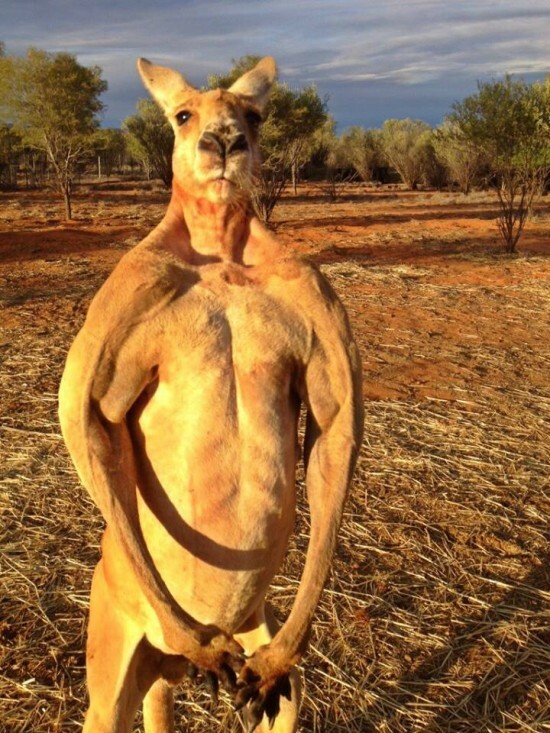 When he’s not too busy fighting off younger males for the title of supreme leader, Roger likes to show off his muscles and practice his kickboxing moves. 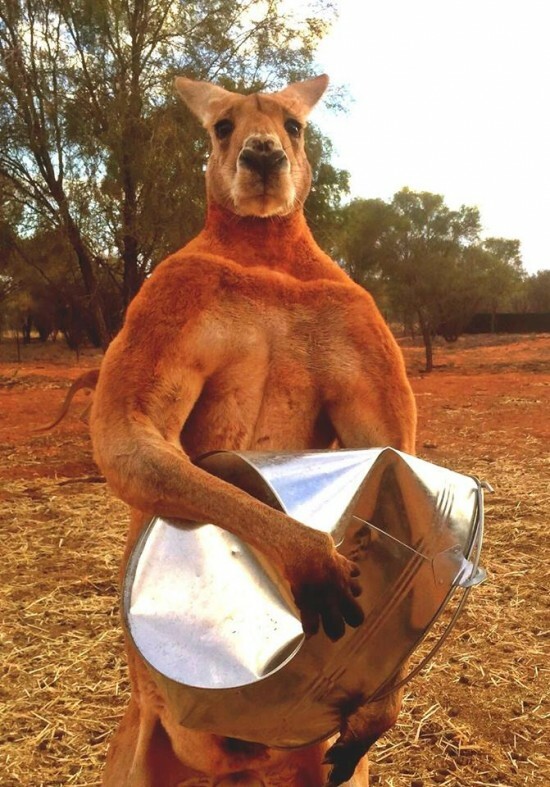 If you’re an aspiring bodybuilder desperate enough to accept tips from a kangaroo, you should know his favorite training exercise is crushing his metal feed bucket with his bare paws. Sure, it sounds extreme, but just look at Roger’s guns! You can tell he knows he looks good, too. The way he flexes for the camera and stares menacingly into the lens, he’s a natural superstar.